Sometimes I do lots of research and gather all the appropriate materials before starting a project. Sometimes I just wing it. This is the latter in action. 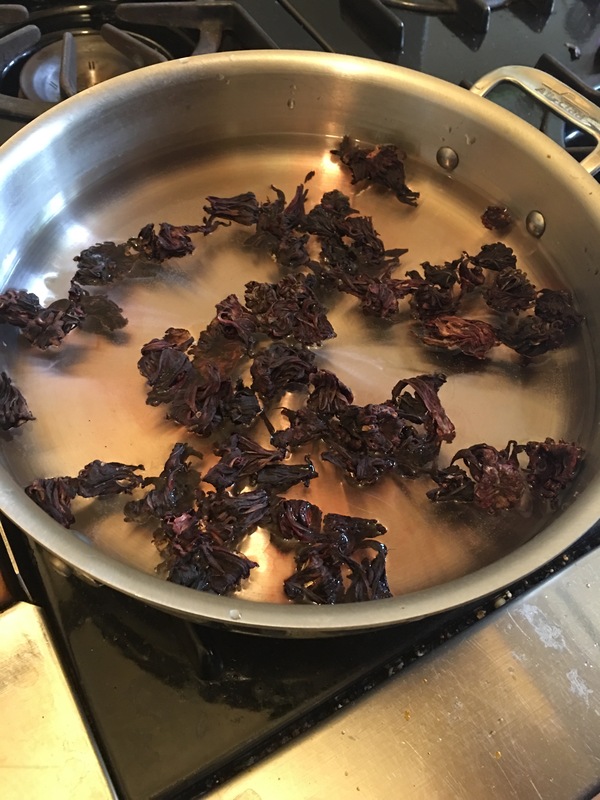 While the little fellows were dyeing eggs with Paas, I boiled up a pot of red cabbage, and another of dried hibiscus flowers. 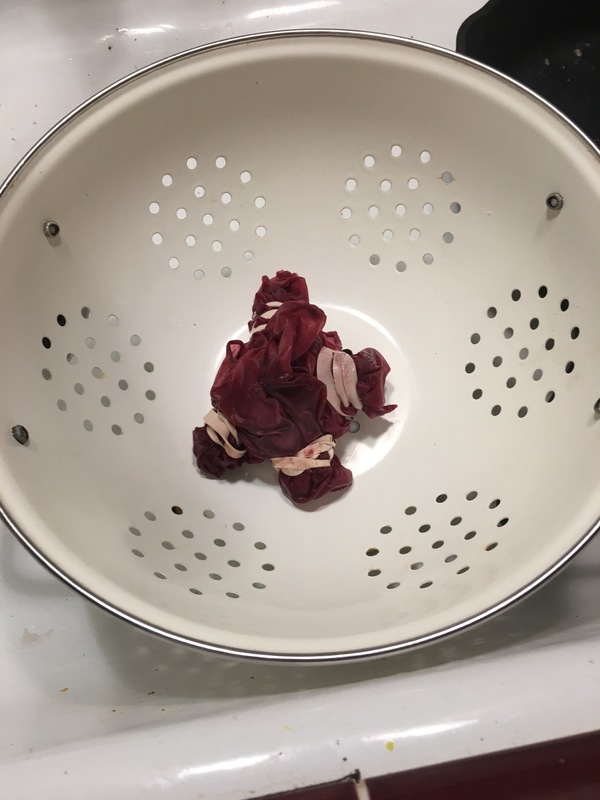 The cabbage was pretty much a bust for dye, though fun for doing acid/alkaline color-changing magic(more on that in a moment). But the hibiscus was totally unexpected! It was a gorgeous bright pink in the pot. 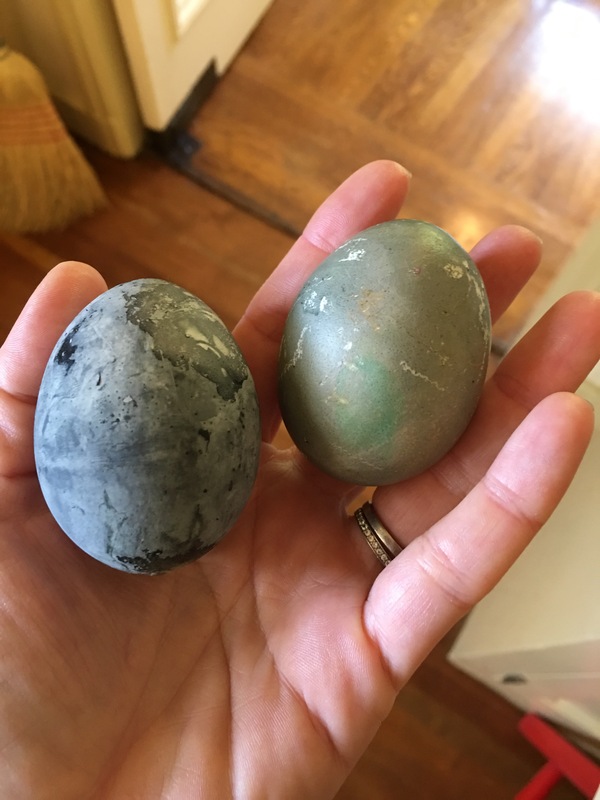 An egg soaked briefly(on the right) turned grey-green, and the one soaked over night turned marbled black!! 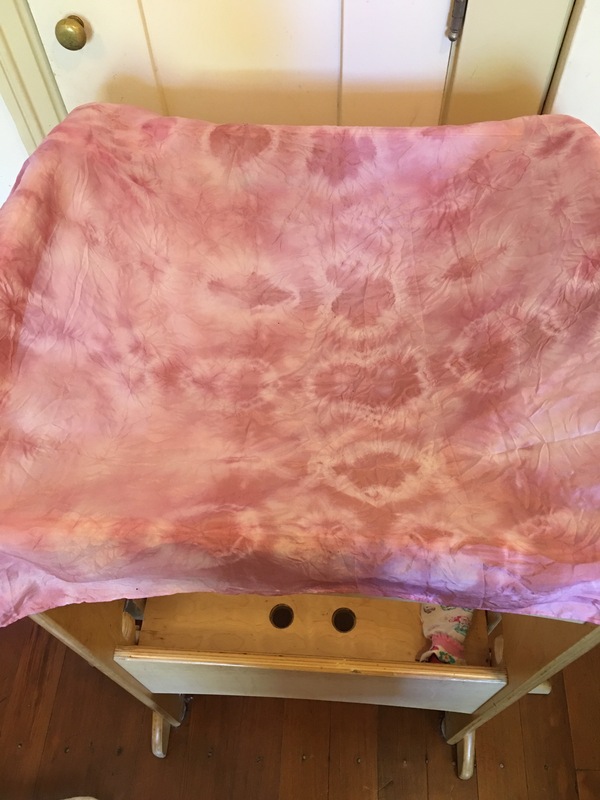 I decided to try it on a piece of silk pre-mordanted with vinegar. 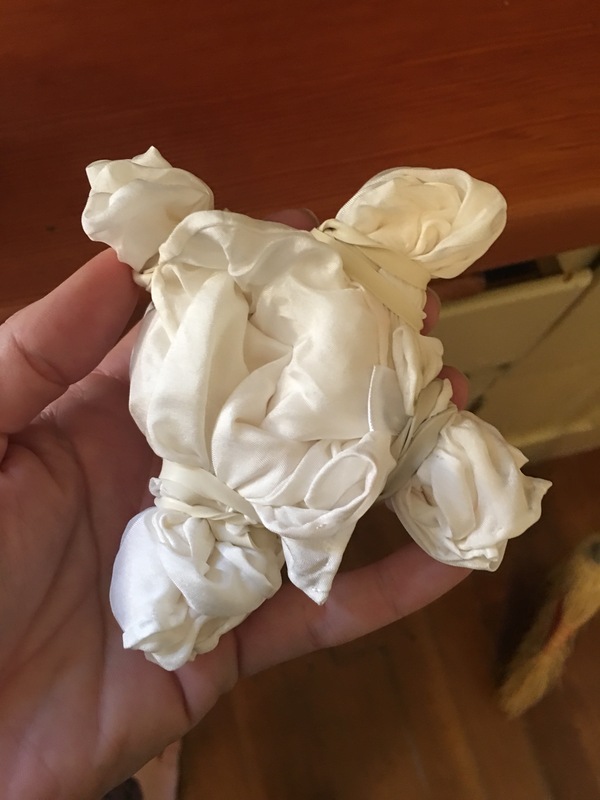 I accordion folded the scarf lengthwise, then width wise, then bound the corners with rubber bands and submerged it in a jar of hibiscus overnight. The result was much more what I expected with the eggs! A lovely muted pinky-purple. 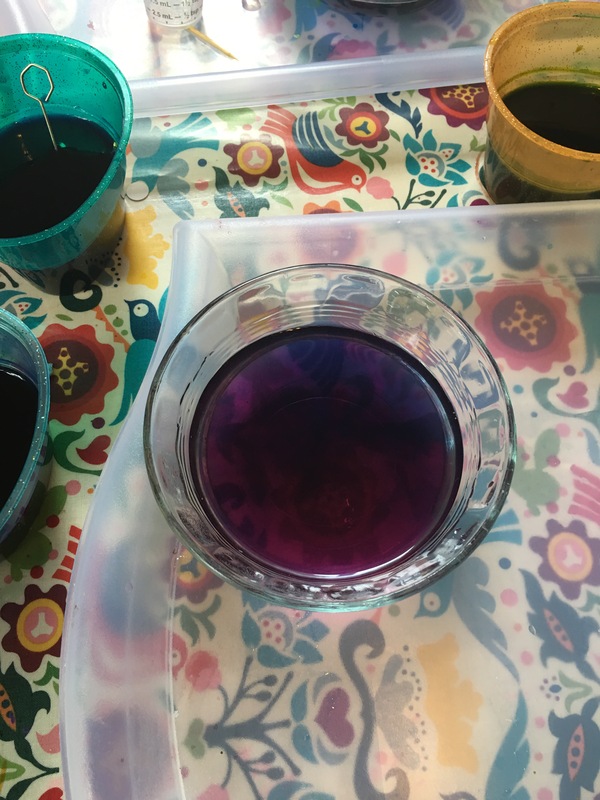 It is dry, but I’m not sure if it will be color-fast, or oxidize over time, but that’s part of the fun! 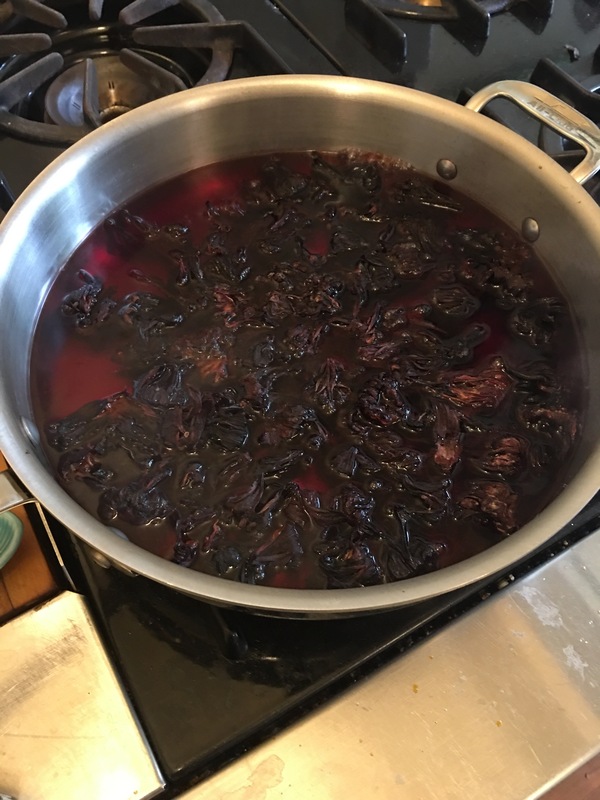 And in case you want to try magical cabbage concoction: for dye, I think my concentration of cabbage to water was off, plus I think actually boiling the eggs with the cabbage makes for the best color. But we had fun with the cabbage water! Did you know that red cabbage changes color depending on whether it is exposed to acid or alkaline solutions? 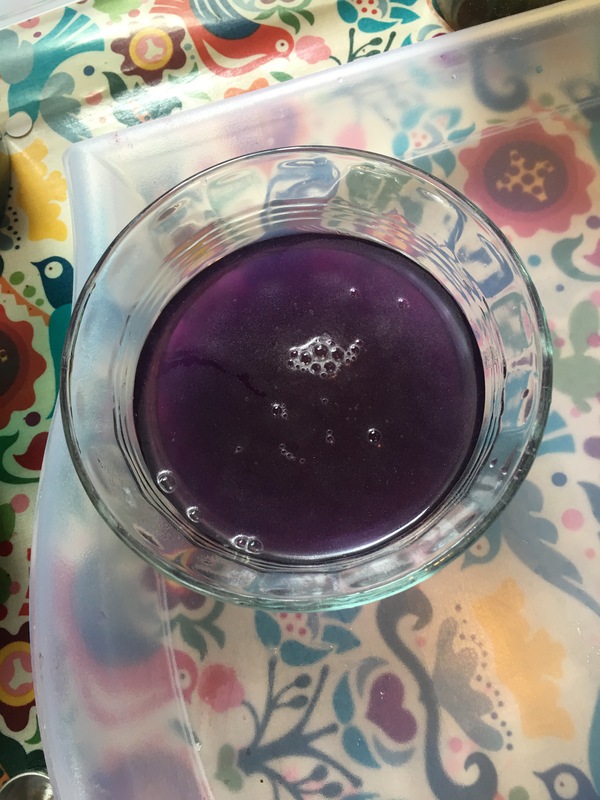 So cabbage water+vinegar+baking soda= fun. Pink cabbage water! 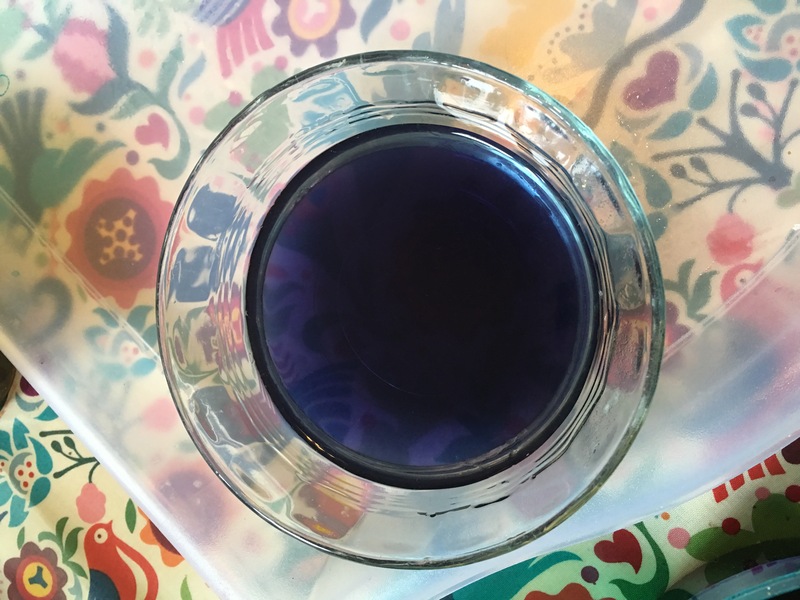 Add a spoonful of baking soda for some fizz and another color change back to purple.